Just a few miles from Prestwick International Airport and 45 minutes from Glasgow Central Station, the charming town of Troon is a wonderful destination for a day out at the beach or a relaxed seaside holiday. At the end of Outlander season 1, Jamie, Claire and Murtagh leave Scotland on a sail ship to France. This scene was filmed off the west coast of Scotland at Troon. Troon is probably best known for the golf course. However, it is also a popular coastal town that plays host to many visitors who visit its beach and seafront attractions every summer. 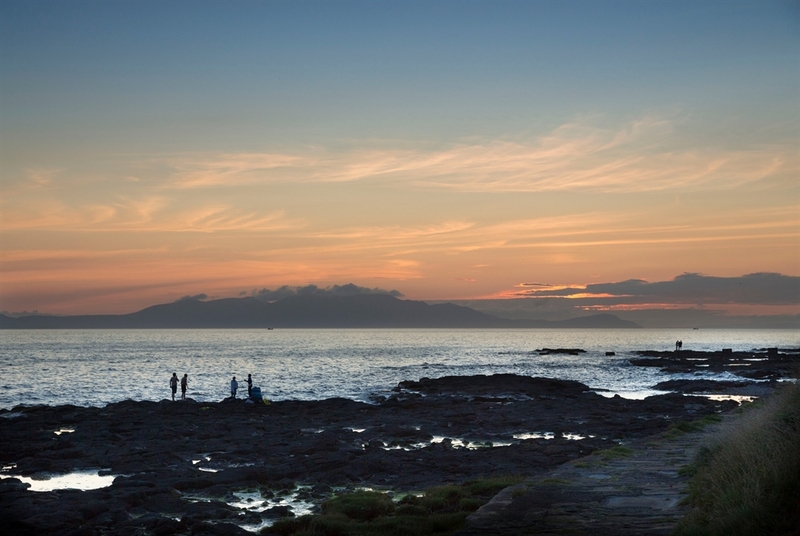 Overlooking the Isle of Arran and Ailsa Craig, Troon is situated on the south Ayrshire coast and boasts stunning, sandy beaches with magnificent views. The esplanade is ideal for walking, cycling and wheelchair use, while drivers will find free and ample parking nearby. The bustling harbour is home to Ayrshire's fish market, which supplies locally-caught fish and seafood to quality restaurants at the nearby marina. The town also offers a wealth of charming independent cafés, as well as a range of unique boutiques and shops. 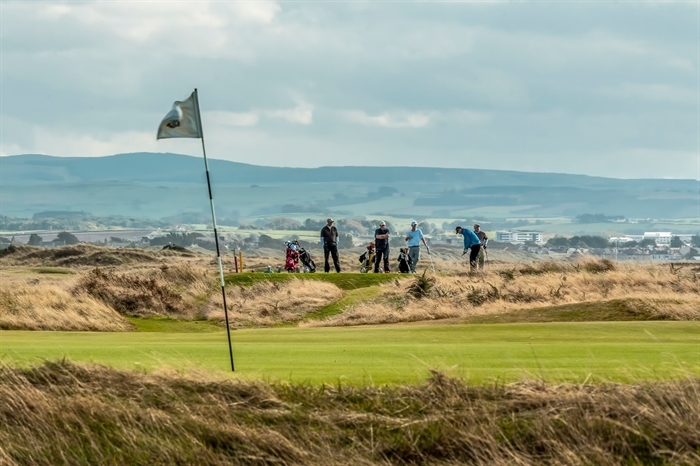 Known as a golfing hotspot, Troon is home to an incredible seven courses including Royal Troon, which regularly hosts the famous Open Championship. 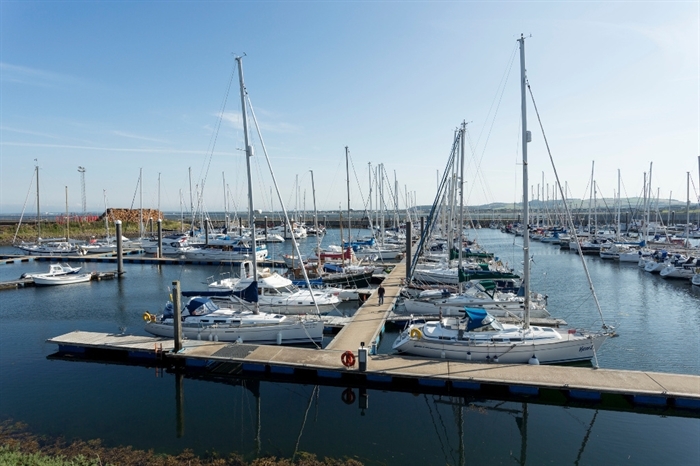 Yachting enthusiasts can take advantage of the facilities at the Yacht Haven, one of the Clyde's leading sailing centres, and sports fans can head to the beach for windsurfing, kitesurfing and more. 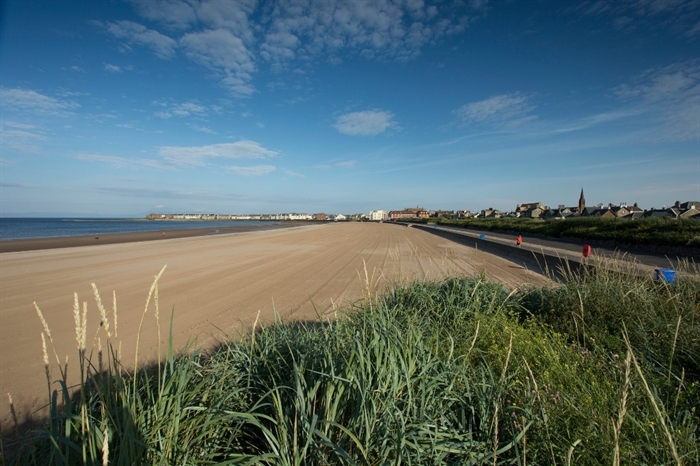 A popular holiday resort, Troon offers a range of accommodation options for visitors. Several of the town’s quality hotels can also cater for weddings, corporate events or spa weekends, making it a fantastic destination for all types of trip. VisitScotland / Paul Tomkins Sunset Over The Isle Of Arran From The Ballast Bank, Troon, Ayrshire VisitScotland / Paul Tomkins Sunset Over The Isle Of Arran From The Ballast Bank, Troon, Ayrshire Paul Tomkins, VisitScotland, All rights reserved. The Marina at Troon Yacht Haven, Troon, Ayrshire. VisitScotland / Paul Tomkins, all rights reserved. The tawny sands of Troon beach, with the spire of Troon in the distance. Ayrshire & Arran tourism, all rights reserved. 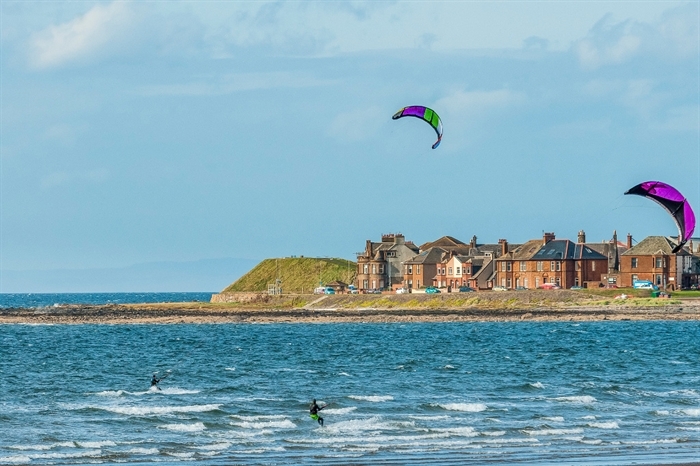 Troon beach offers excellent conditions for kite surfing. Ayrshire & Arran tourism, all rights reserved. Royal Troon Golf Course.